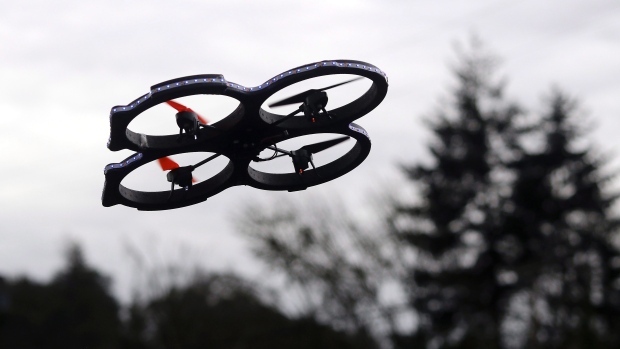 Drones are expected to be one of the hottest Christmas gifts this year, with analysts estimating 1.6 million will be sold in North American by the end of 2015. But federal officials and airline pilots are trying to raise awareness that, in addition to capturing spectacular images, drones can pose serious safety risks. “Drones are not simply toys,” said Shari Currie of Transport Canada, which has teamed-up with Vancouver International Airport to launch an awareness campaign. Among the biggest risks are those posed to aircraft. Transport Canada says it’s unsafe to fly drones (also known as unmanned aerial vehicles) within nine kilometres of airports, heliports and aerodromes, or more than 90 metres above the ground. They also shouldn’t be flown within 150 metres of people, animals, buildings, structures or vehicles, in populated areas or near large groups, according to Transport Canada’s guidelines. There have been so many close encounters between drones and aircraft in the U.S. -- at least 241 according to one recent study -- that the Federal Aviation Administration now requires drones be registered. Currently, only drones weighing more than 35 kilograms need permits in Canada. Transport Canada is considering new requirements, but in the meantime it plans to continue educating the public about the risks.